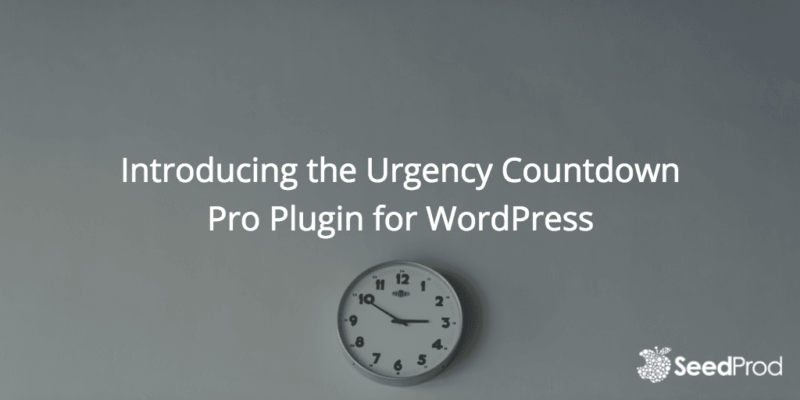 I’m excited to introduce a new plugin today called Urgency Countdown Pro. This plugin allows you to create countdowns for your WordPress website. You can create countdowns to specific date time or create individual user countdowns. So say you want to give each user 4 hours after they visit your website to perform an action this countdown will allow you to do that. Check out the video below for a demo example of hour it works. If you are a subscriber of our SeedProd All Plugin Membership you can download this plugin from the dashboard. Not a subscriber? Buy the Urgency Countdown Pro Plugin here.